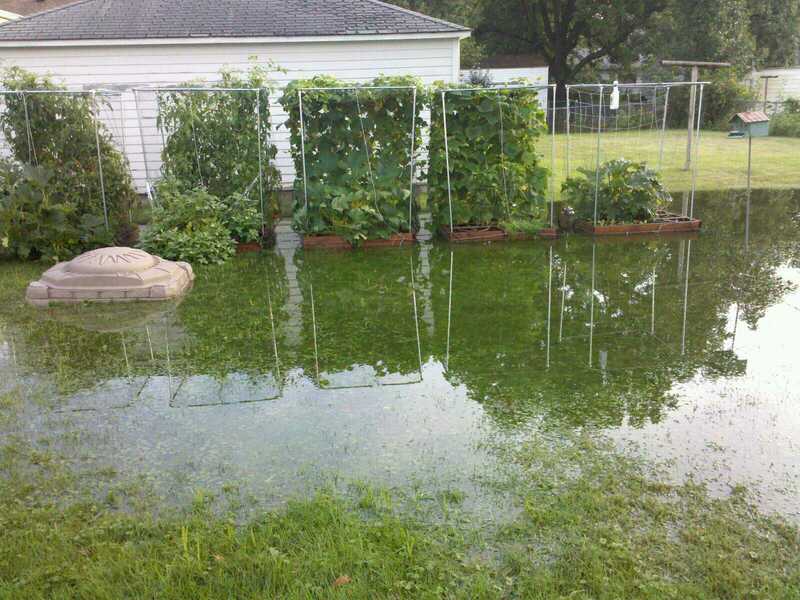 Another two inches of rain last night. Yard is flooded again. At least I have an excuse not to mow: I don’t have a snorkel for my lawn mower. 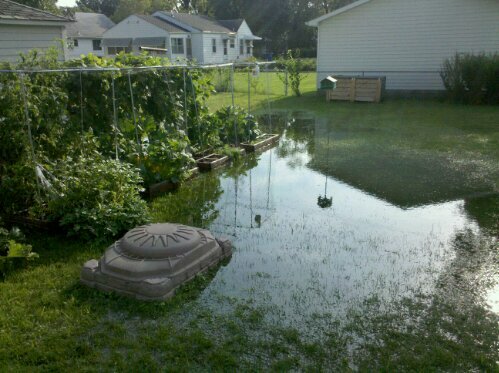 Here are my gardens, swimming in the swamp that is my yard. Well, its been a few days since I posted something, but you can’t expect too much when you read some poor hacks attempt at a blog about gardening. I haven’t done much by way of the garden this week, except to start seasoning the seedlings to be planted. One of the False Alarm Jalapeno seeds germinated a few days ago to my surprise. I thought they were all goners. It looks like it may rain most of the week, but I will try to get things planted when the weather allows.